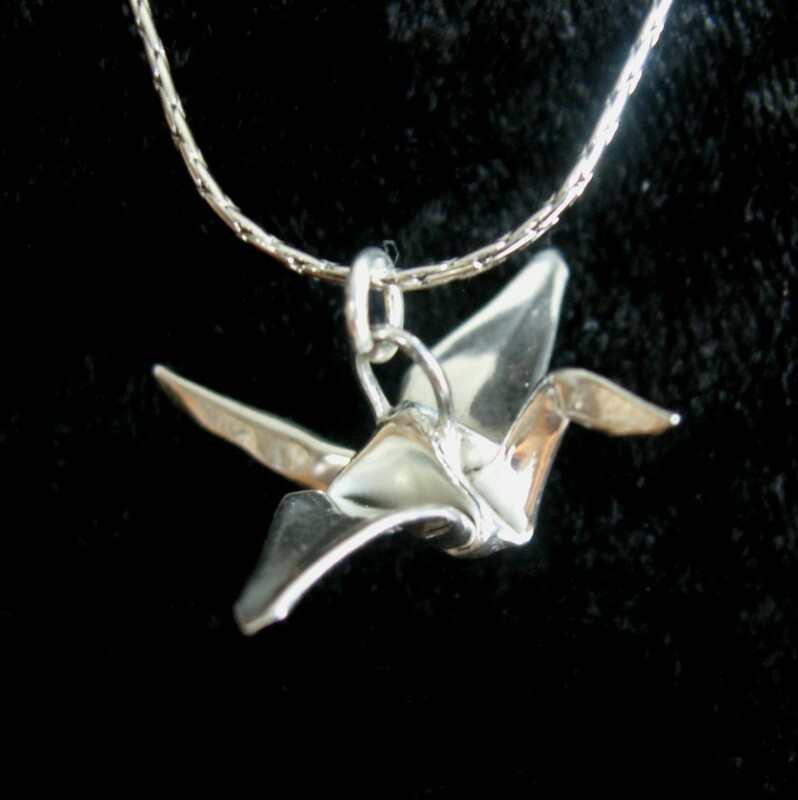 Silver Origami, or "metalgami", is high quality jewelry fashioned from sheets of .999 fine silver. Each item is carefully folded by hand, kiln fired, and highly polished. These tiny works of art are a treasure to last for many years. Much of the so-called "origami" jewelry you see on line is actually stamped from sheet metal or formed from a mold. My works are true origami. Every piece is folded from sheets of real .999 fine silver, using the exact same folds you would with paper. You can find Allegro Arts fine jewelry online here, at a few select shops in the St Louis area, and occasionally at art shows or high quality art and craft fairs. Strange Folk Festival 2017 is Sept 22-24. Now extended to 3 days, Friday through Sunday! This year it will be at Lafayette Square park south of downtown St Louis. 200 artists, local music, food, and beer. This is the ONLY show I do all year, so if you want to see Allegro jewelry in person before you buy, this is they only place to do it.